The last couple of weeks, ATL rapper T.I. has been releasing a few tunes off his upcoming album Trouble Man: Heavy Is The Head, with some pretty great features already like A$AP Rocky and Big Boi. Yet, before the album officially is released tomorrow, T.I. stopped by Shade 45′s Sway In The Morning to let loose another cut called "Memories Back Then", featuring Kendrick Lamar, B.o.B., and the hook by Kris Stephens. 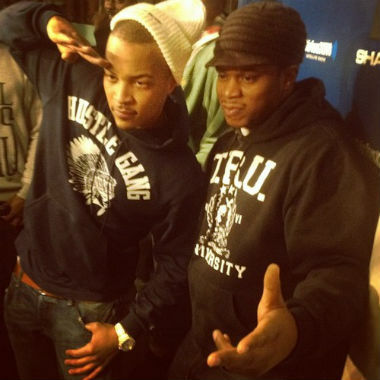 The album is sounding like it might bring T.I. back to the top and regain his crown as the King of the South. Listen below.